It's not just Fiat that is invading the U.S. with their cute little Italian cars, Italian appliances have also been hitting our shores. Although I've mentioned Italian brands in previous blogs, see below, they just keep coming! Here are some more recent “incursions” into the American market. These 3 brands are brought to the U.S. by the Vetta group, an agency representing European manufacturers in the North American marketplace. Fulgor Milano is an appliance brand that's been around Italy since 1949. 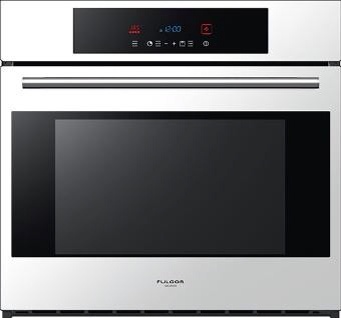 Recently acquired by Meneghetti S.p.A., Fulgor Milano's line of wall ovens and cooktops should compete in the mass premium market space against brand such as KitchenAid, Bosch, and GE Profile. 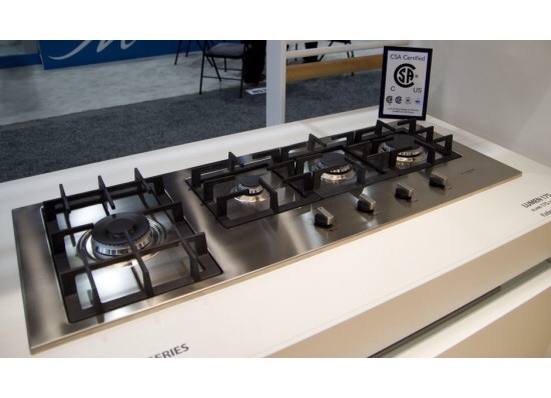 The line features an attractive lineup of wall ovens, as well as electric radiant, induction, and gas cooktops in a variety of styles and sizes. The products clearly show off the Italian influence, and there are some unique configurations. It's great to see a new “look” in the mass premium space. 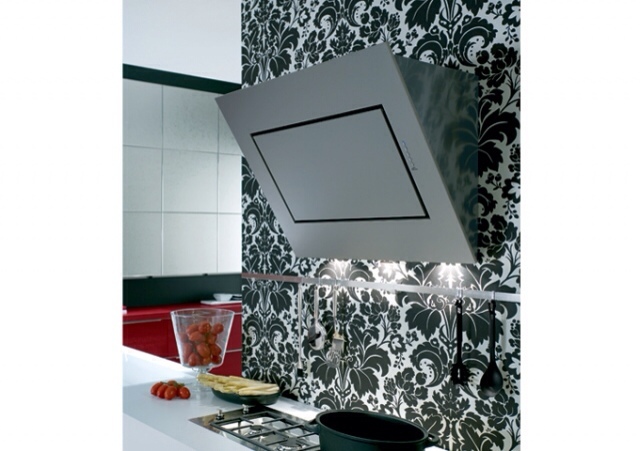 Falmec is a line of high end vent hoods, reminiscent of other luxury Italian hood brands. Manufactured in Falmec's facility in Northeast Italy, Falmec produces an extensive array of luxury hoods claiming to include the quietest hoods in the world. Fhiaba's heritage goes back to the Baron family in the 1970's creating professional refrigerator products and later building professional equipment for the foodservice industry. 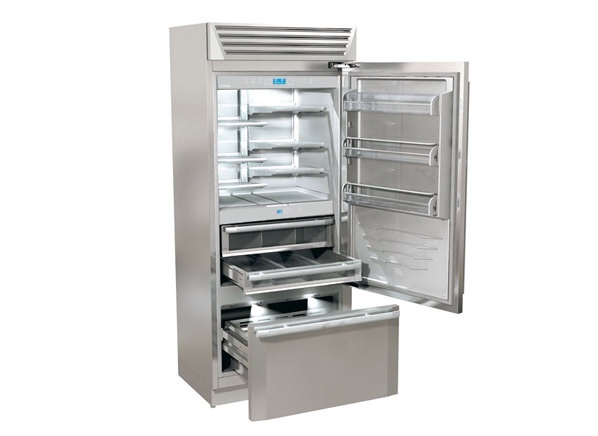 In 2004, the family launched Fhiaba in order to supply “a range of integrated, built-in and freestanding refrigerators” to the high end consumer market. It's uncertain what the exact status of Fhiaba is in the U.S. as of this writing. It appears that they may be readying to get the necessary approvals to market the product here. However, Consumer Reports has issued as stinging review of the brand (click on link below). My view is to just wait and see when the product does finally launch in the U.S. This entry was posted in Appliances and tagged Bosch, built-in, built-in refrigerator, consumer, Consumer Reports, cooktops, electric, electrici, European, Falmec, Fhiaba, Fiat, Fulgor Milano, gas, GE Profile, Italian, Italy, Kitchenaid, North America, North American, oven, professional, restaurant, U.S., Vetta, wall oven. Bookmark the permalink. Just what we need more European brands that don’t add value, just add clutter! Maybe you could think in terms of “choice” not clutter. Otherwise, we might want to classify your Italian hoods by Best and your Slovenian owned Asko brand “cluuter” too. Let’s be honest, and not just call brands that you don’t handle as products that don’t add value. Sorry, if you took it personally; the luxury market is already way too crowded, brands that are “me too”, without adding value to someone in the value chain will be rejected and short lived! For the record Best and Asko have been in distribution for over 30 years.. they have proven their value over time. I’d agree that the luxury market is crowded, especially in cooking, Tom. But, as I wrote, Fulgor Milano is not a luxury brand, and I feel that they may indeed add value as they have a couple of unique products. I didn’t take it personally. I’m not the one in this conversation that has a stake in this. I’m just reporting on the industry. Nevertheless, I do respect your viewpoint and appreciate your comments. Does anyone own a Fulgor glass cooktop. They are sold by Costco and we are wondering if they are good. In particular, does the glass scratch or is it a better quality than some of the North American varieties. For example we have a Kenmore which functions well but scraches incredibly easily even with the proper cookware.